NoMoreQueue is rewarding students in recognition of their hard work. If you are getting good marks in school/college, here's your chance to win free movie ticket vouchers from nomorequeue and make your parents proud. If your daughter, son, niece, nephew, cousin, brother, sister has received good grades/marks in school/college, here's a way to congratulate and make him/her happy. 1. Email student's latest report card details to marks@nomorequeue.com including the School/College name, Student's name, Subjects, % of Marks received, Date etc. A scanned copy of marks sheet would work as well. This information would not be shared with others. 2. Become a facebook fan of www.facebook.com/nomorequeue and write on the wall that you have emailed us the report card details. 3. 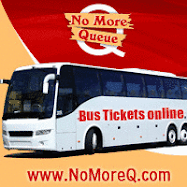 NomoreQueue will send you the movie ticket discount voucher which can be redeemed at movies.nomorequeue.com. 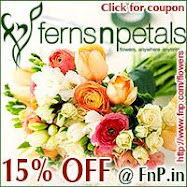 The voucher is valid up to a month. 4. 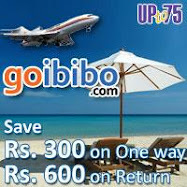 If the student gets 60% marks, the discount movie ticket voucher would be worth Rs.60/-, if the student gets 95%, the discount movie ticket voucher would be worth Rs.95/-. Higher the marks, greater the reward. 5. Share this news with your friends and classmates. Watch a latest movie together and have a great time. Online booking of movie tickets not only save you time and energy, it also provides you the ability get tickets for box office hits without the hassle of standing in queue. You can use the Now Running feature to get the latest information on the show timings of movies running in your favorite theaters. You can also have this information on your mobile phone. NoMoreQueue in association with Urvashi 3D Cinema & DreamWorks gives you a chance to win free tickets for preview of "How to train your Dragon" in 3-D at Urvashi, Bangalore on 9th April. "How to Train Your Dragon", is a 2010 computer-animated fantasy film by DreamWorks Animation based on the novel by British author, Cressida Cowell. The movie was released on 26th March, 2010. The main character is a young viking teenager, Hiccup Horrendous Haddock III who aspires to follow his tribe's tradition of becoming a dragon slayer. However, when he captures his first dragon, he finds that he no longer has the desire to kill it and instead befriends it. Just send your answers to dragon@nomorequeue.com for "What is the name given by Hiccup to The Night Fury Dragon?" 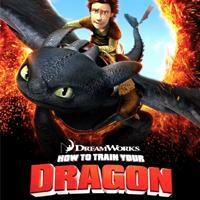 and you could be the lucky one to win 2 tickets for preview show of “How to train your Dragon”. Conditions apply.